This work is dedicated to the memory of her who shared the joys and sorrows of the author for forty-six years. Author of "Rambles Through the Land of Burns," Etc. 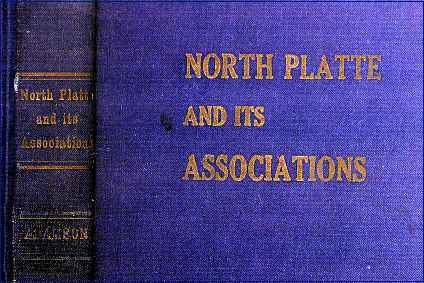 The purpose of this work is to review the gradual growth of North Platte, and incidents associated with it, with such brevity as will lay the story before the reader in a condensed form. Therefore, the narrative is restricted to the simplest recital of events and makes mention of a few pioneer citizens, who, under unpromising conditions, aided to make North Platte the fairest city in western Nebraska. ed on, and proved reminiscent, and talked with zeal of occurrences that took place when Indians and buffalo were numerous and frontier life perilous. Such recollections, combined with gleanings from the County, City, School and church records have aided greatly in tracing the progress of local events, and adding interest to the narrative. 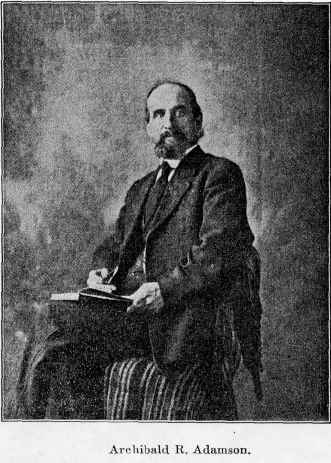 Andrew J. Miller, who was intimately and prominently identified with the county and city when they were emerging from the primitive, has been resourceful and obliging, and has supplied information that will prove interesting. Maj. William Woodhurst, who was sheriff of Lincoln County when law and order were loosely observed; has also supplied what will engage attention. Appreciation of help received from these gentlemen, and from Mrs. W. C. Reynolds, Franklin Peale, James Belton, James Babbitt, and others, is gratefully acknowledged.